I am a very visual oriented human being – while Kal has a particular hobby that involves TVs (he loves video games and binge-watching TVs). 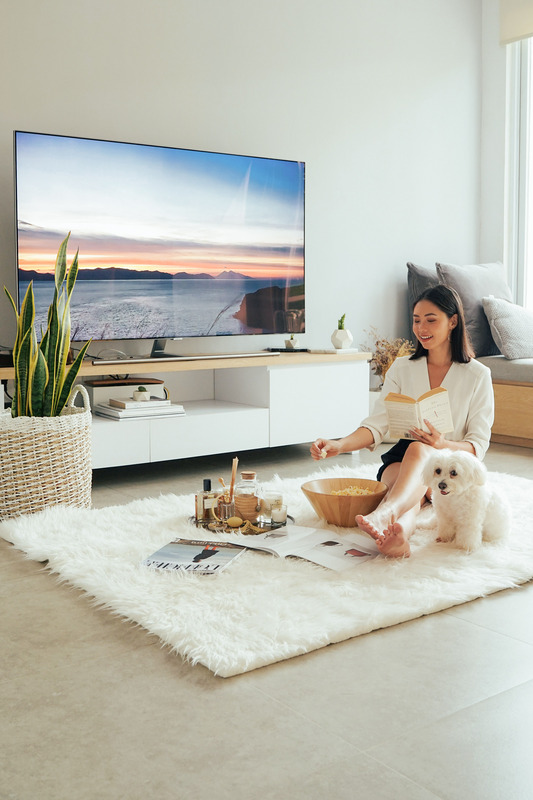 So when we found Samsung QLED TV, we were psyched. 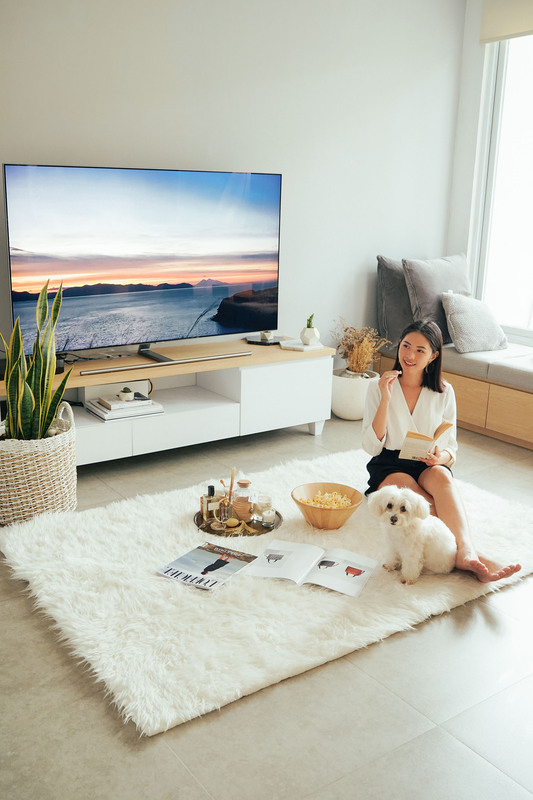 I got the Q7F series in 65 inch, so satisfying! 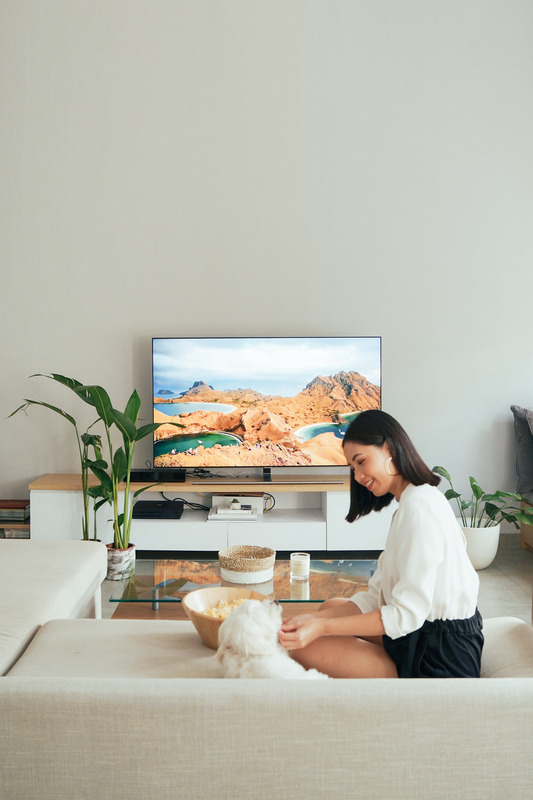 Samsung innovates in quality, design, and connectivity. 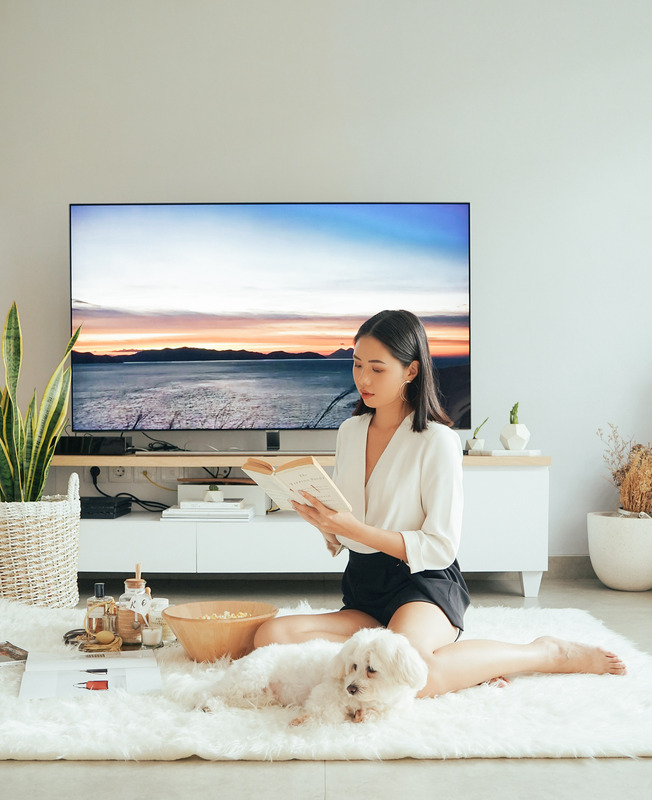 Not only it is a smart TV, it also has a high aesthetic pictures with 100% color volume from Quantum Dot technology, creating sharp and real pictures. 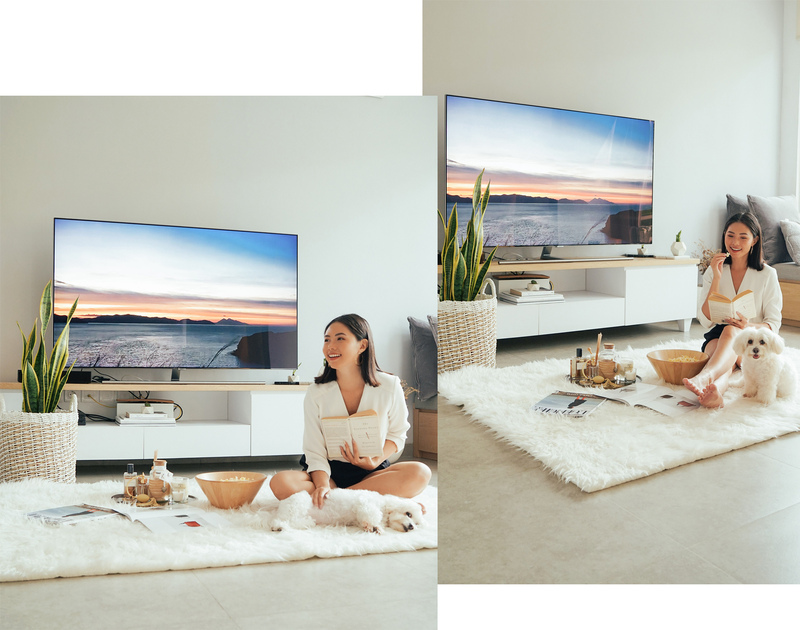 Also, with Q HDR Elite with powered by HDR 10+ technology and Ultra Slim Array, Samsung TV increases the contrast ratio and light adjustments. The visuals would still look excellent under strong or low light. 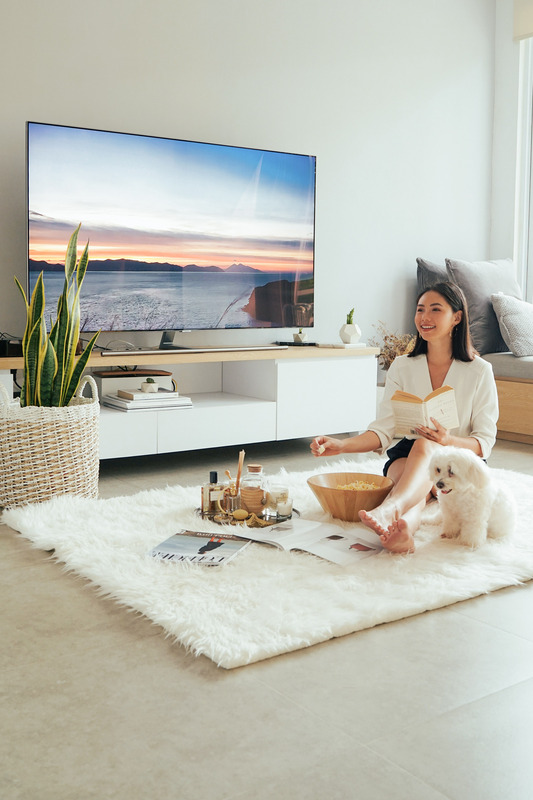 There are three QLED TV series: Q7F (55”, 65”, 75”), Q8C (55”, 65”), and Q9F (88”). 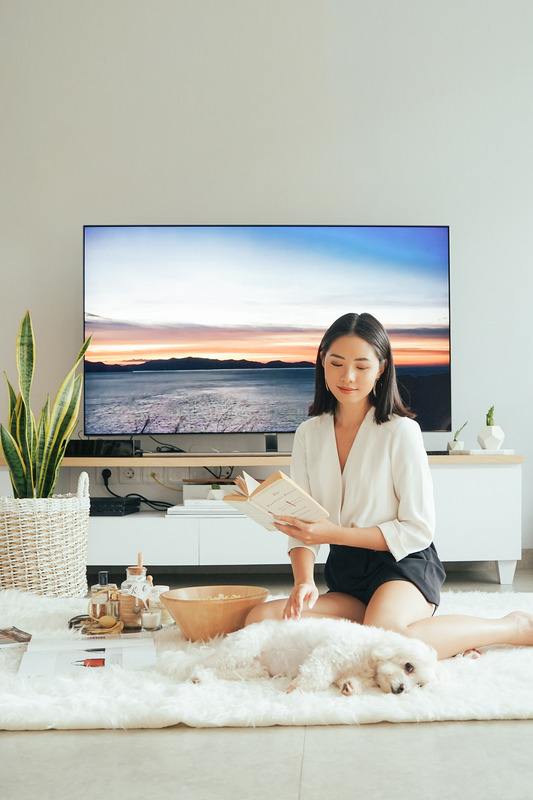 The TV has a Magic Screen with Ambient Mode that when turned off, it can blend well with the wall behind it. 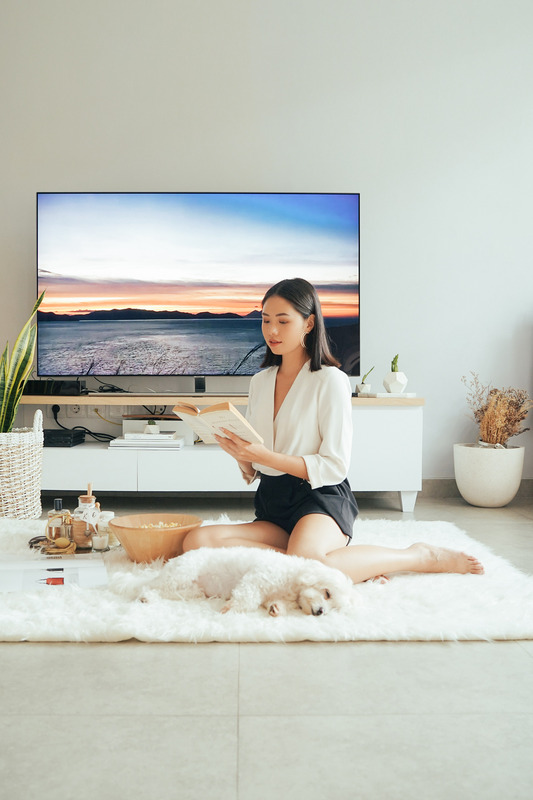 I think this is a very impressive technology that makes the TV’s overall design look even more stunning. Moreover, there is a thin transparant cable , so you won’t have any cables tangled in a chaotic way. 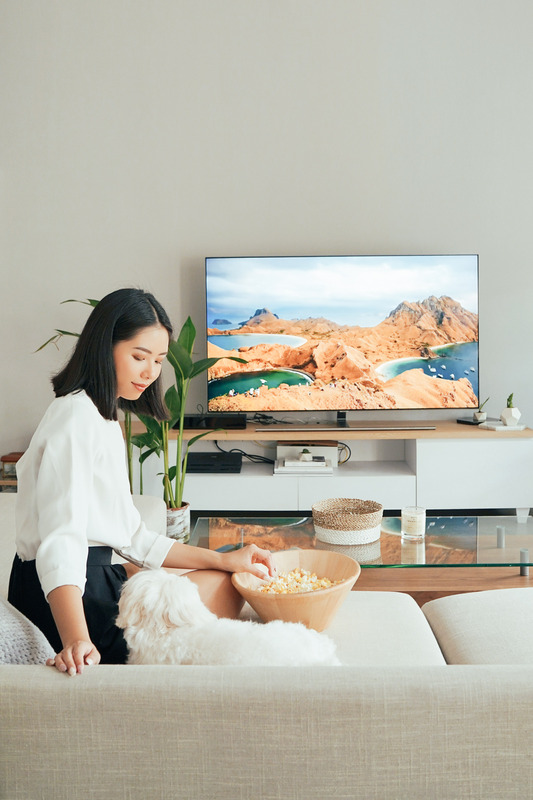 Also, with No Gap Wall-Mount technology, the TV can be attached closely to the wall. In terms of connectivity and technology, three new innovations are making things even better. 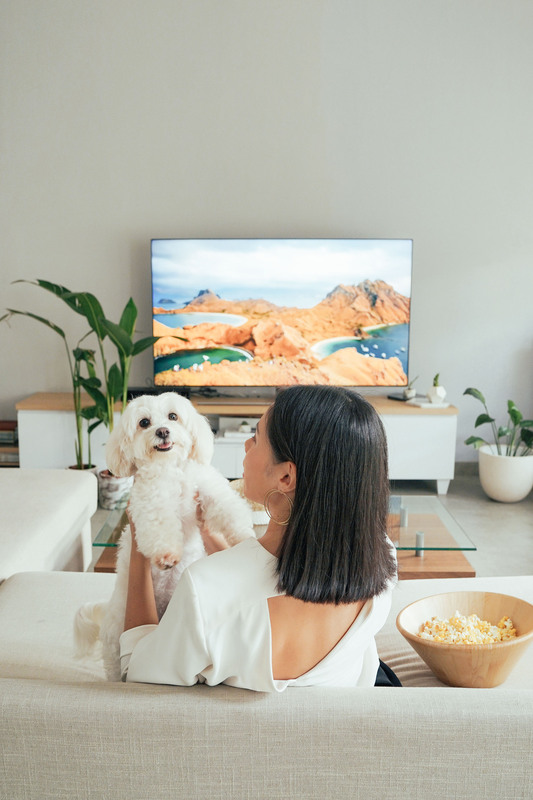 SmartThings application connects your TV to your smart phone and other Samsung appliances such as washing machine and vacuum cleaner. 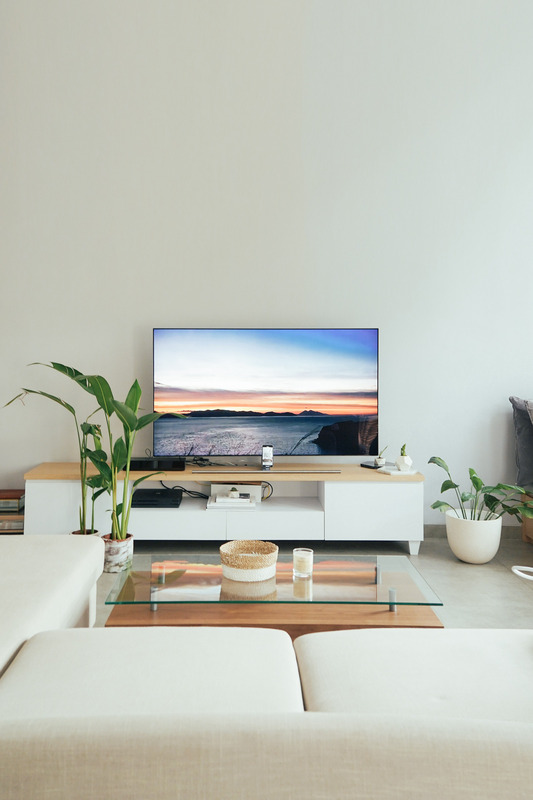 One Remote technology control most devices connected to the TV such as Blu-Ray, sound system, and gaming console, all within one remote to easen up the navigation. And the Auto Detection technology enables these devices to be found and detected automatically.